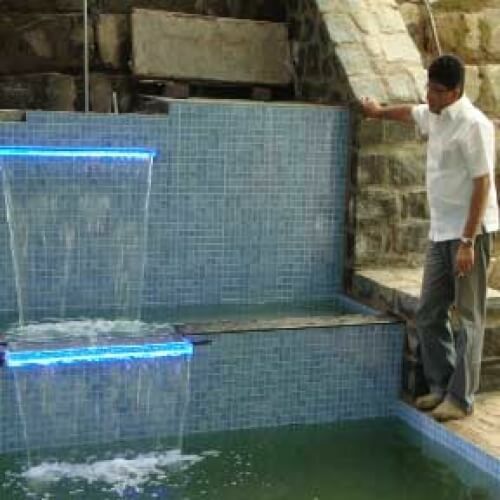 The relaxation benefits alone are phenomenal. 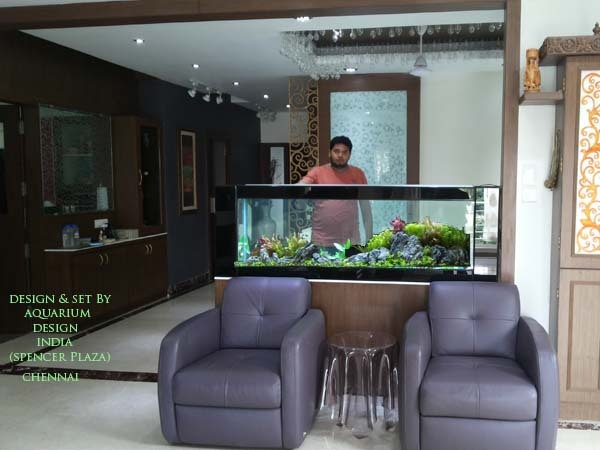 A stunning marine aquarium enhancing the living space within a light and spacious basement conversion.An ultra chic, ultra modern marine aquarium within a highly prestigious office. 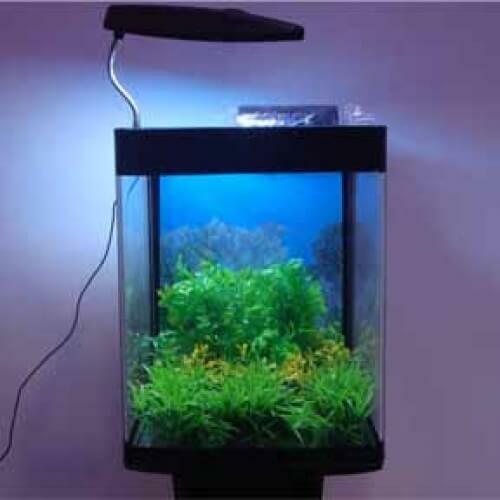 The blue lighting and white interior aquascaping complements the contemporary minimalist white panels concealing the access cupboards. 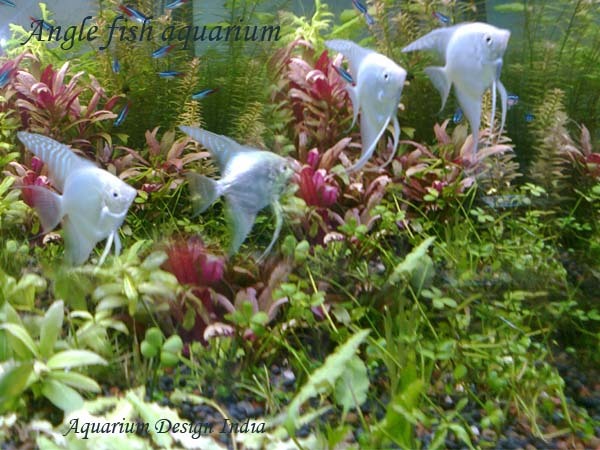 A built in aquarium is an excellent room divider for a number of reasons. 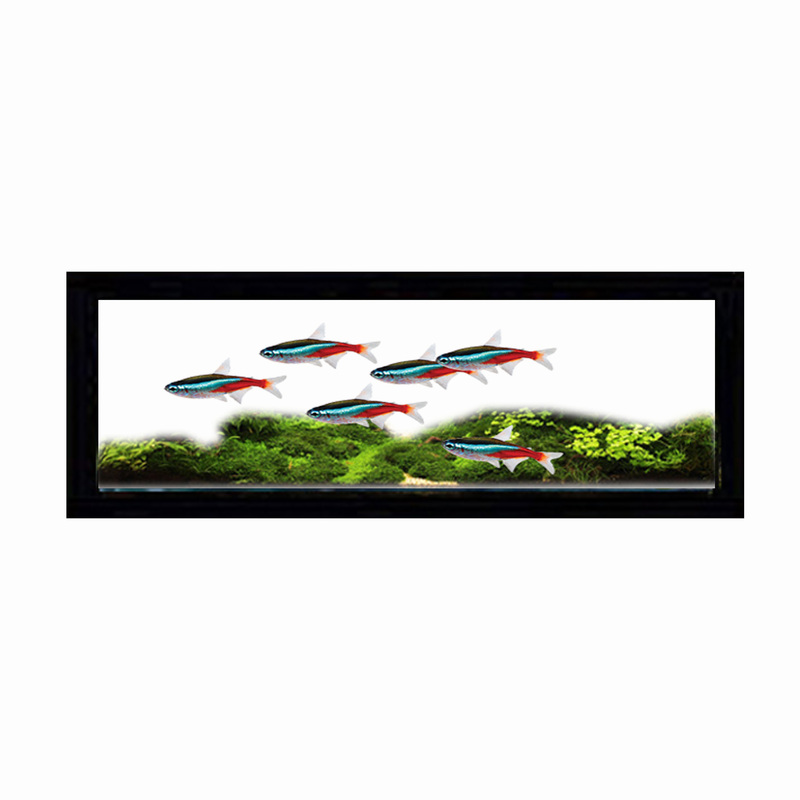 The first is the sheer beauty that they add to your home! 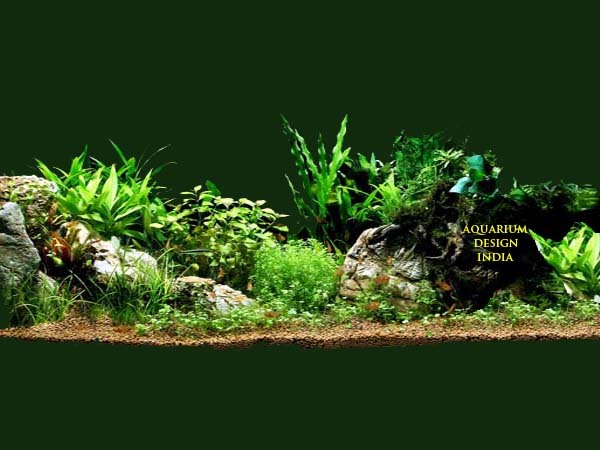 Instead of staring at a blank wall or a generic picture, imagine being able to look at a beautifully lit aquarium with fish gently swimming around and undulating plants. 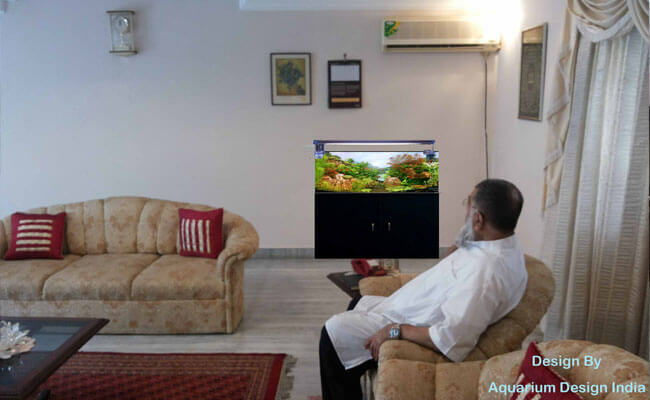 The relaxation benefits alone are phenomenal.Built in aquarium also gives you a feeling of separation without making the space feel smaller, due to the fact that light still travels through the aquarium. 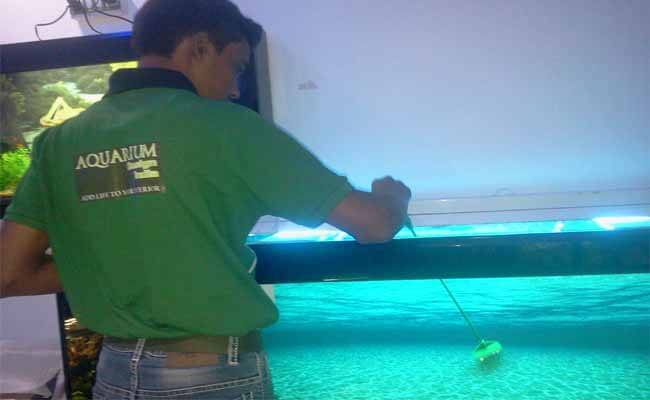 You also wont lose any natural daylight in the room and the lighting may actually be improved simply from the aquarium lighting itself. 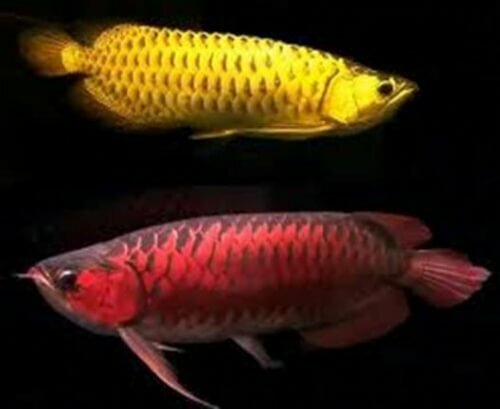 Imagine that tranquil glow at night! 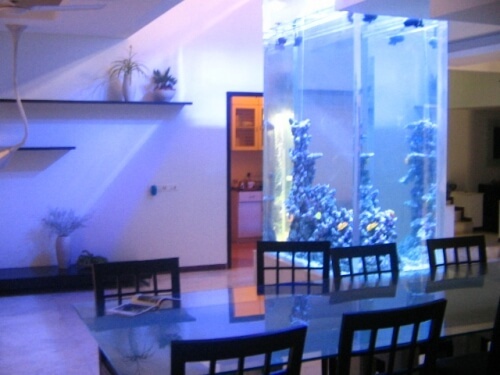 There are two ways that you can use a built in aquarium as a room divider. 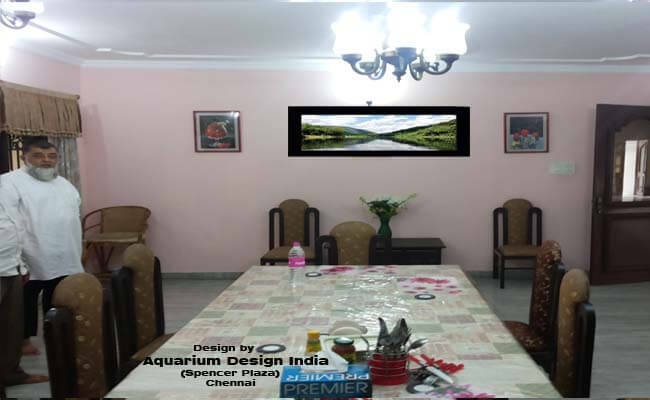 The first is to actually build the aquarium into the dividing wall (such as the wall between the kitchen and dining room, or the dining and living rooms). 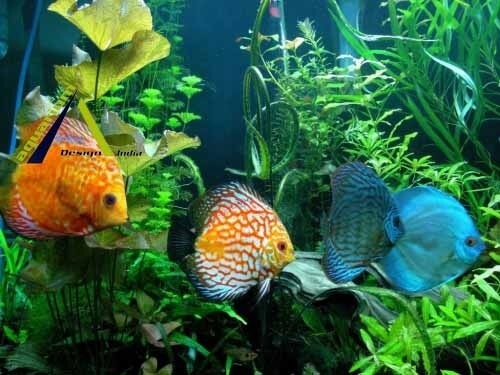 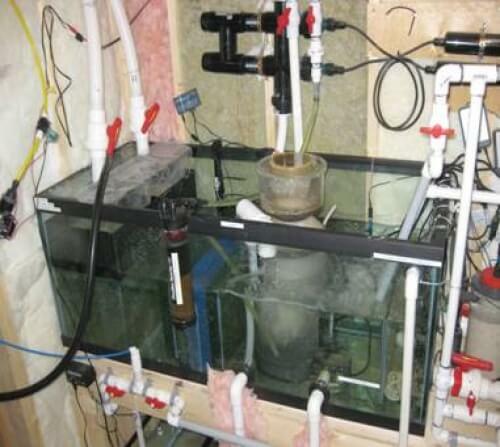 Depending on the size of the aquarium, you will need to reinforce the wall to hold the weight of both the aquarium and its contents and you will also need to ensure that there is a space either around the aquarium itself or close by in order to hold all of the equipment necessary for the running of the aquarium such as the water filter, the pump, the heater and so on. 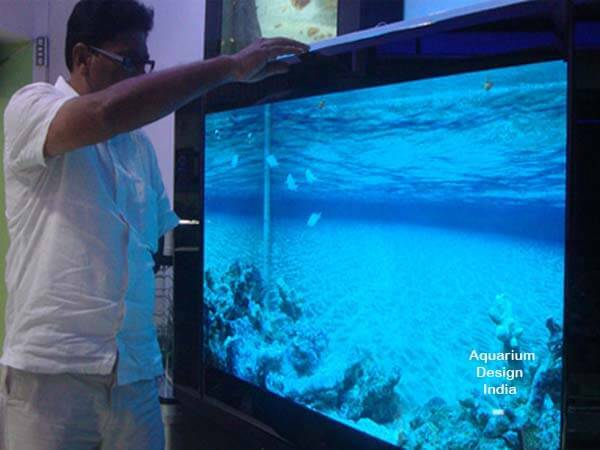 The second way that you can use a built in aquarium as a room divider is to use a specialist tank that is essentially built in place where you want to have a form of division. 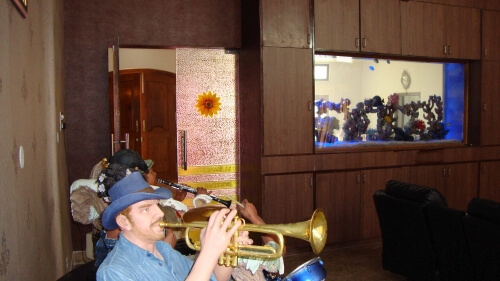 This is particularly practical in more open plan areas. 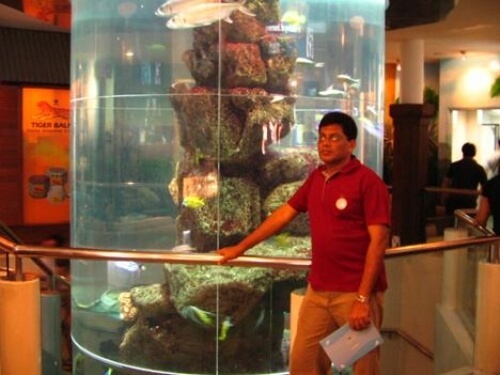 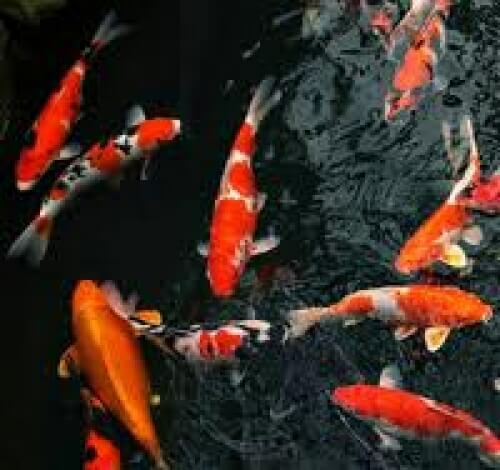 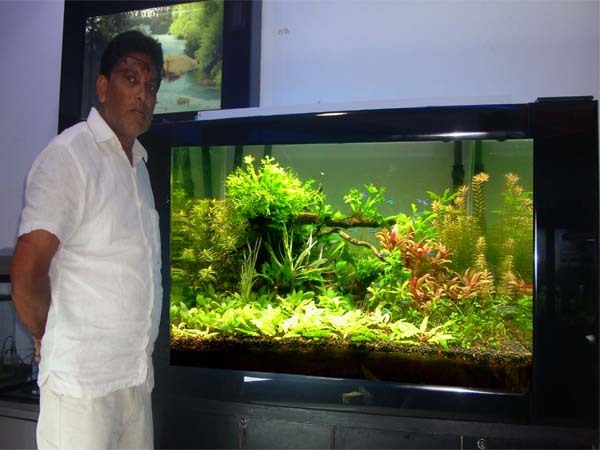 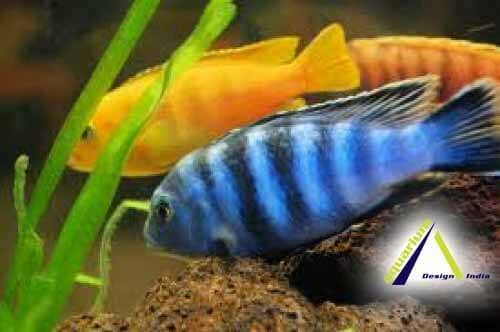 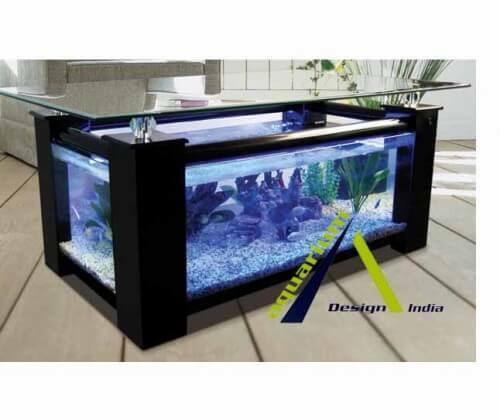 This consists of an aquarium built to your desired size in your desired location. 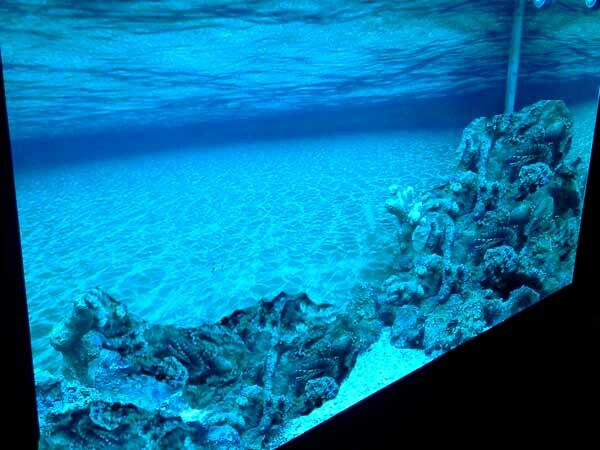 The aquarium can be floor to ceiling for a true wall effect or it can be housed within specialist cabinetry which will hide all of the running equipment such as the filter.